Dramatic natural scenery, towering castles and heritage alongside a throbbing social scene make the Scottish capital the second most popular tourist destination in Britain after London. Situated in Lothian on the southern shore of the Firth of Forth, Edinburgh is the second most populous city in Scotland after Glasgow. Recently voted top UK Heritage Attraction in the British Travel Awards, Edinburgh Castle stands tall and proud overlooking the city and dominating the skyline. Battles and sieges were fought over it and royalty lived within its walls, including Mary Queen of Scots in the 1500s. Contained within are the Honours (Crown Jewels) of Scotland, the Stone of Destiny, the famous 15th century gun Mons Meg and the National War Museum of Scotland. Guided tours are provided by castle stewards daily and whilst there are many cobbles and steps, a courtesy vehicle can take visitors with a disability to the top of the castle. One of the most popular Edinburgh landmarks is Arthur's Seat. Popular with walkers, this hill fort is situated within Holyrood Park and is said to be 2,000-years-old. An oasis of calm in the city centre, you can enjoy the park’s rich natural and archaeological heritage – walks, wildlife, volcanic geology and unparalleled vistas of the city from its many vantage points. St. Giles Cathedral is another must-see. Its distinctive crown steeple is another prominent feature of the city skyline. A trip to Scotland isn't complete without trying haggis, a traditional Scottish sausage made from a sheep's stomach stuffed with diced sheep's liver, lungs and heart, oatmeal, onion, suet and seasoning. 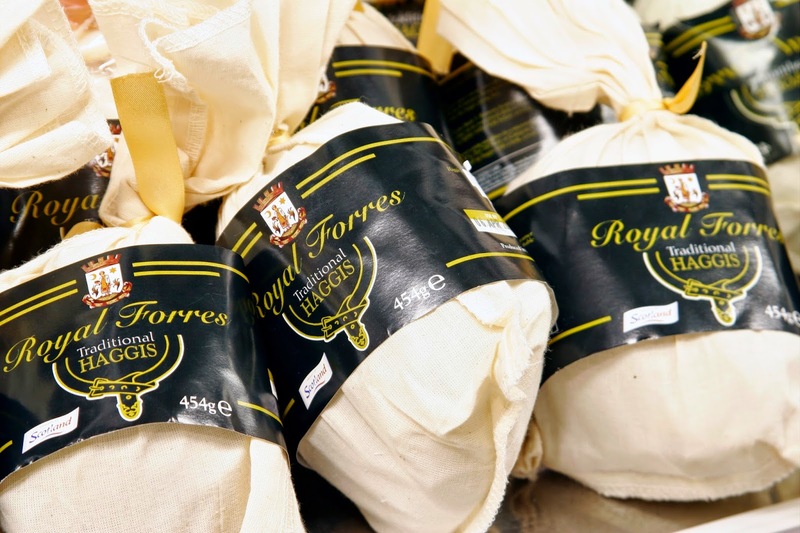 Just think of it as the Scottish alternative to şeftali kebab. Scotland is also famous for its crumbly shortbread, so don't forget to bring back a tin of biscuits for the family. 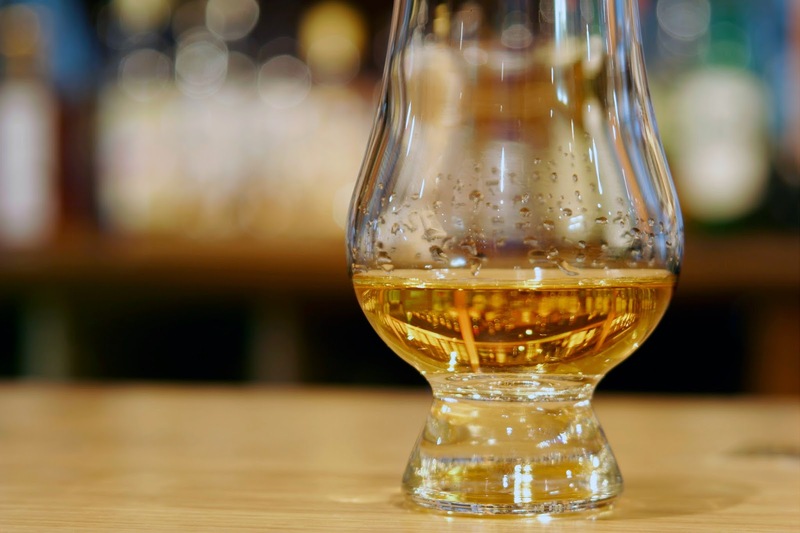 Malt whisky is Scotland's national drink and Edinburgh does not fall short of celebrating this. Visit WHISKI Bar, the multi-award winning bar and diner on the Royal Mile serving fresh Scottish food using the best local produce and over 300 malt whisky varieties to choose from. Fun fact: Scotch whisky must be made in a manner specified by law – you can't pass off any old whisky as Scottish! If there’s one thing the Scots do better than most, it is to put on a grand New Year’s Eve party – or Hogmanay as it is locally known. Highlighted as one of the ‘Top 100 things to do before you die’ and the only festival to appear in the ‘Discovery Channel – Top 25 World Travel Experiences’, Edinburgh's Hogmanay is one of the world’s greatest New Year celebrations. Things get underway on 30 December with the spectacular Torchlight Procession. Join thousands of torch carriers as they create a river of fire from the historic Royal Mile to the son et lumiére and fireworks finale on Calton Hill. On Hogmanay itself, the action moves to Princes Street in the city centre beneath the spectacular backdrop of Edinburgh Castle. 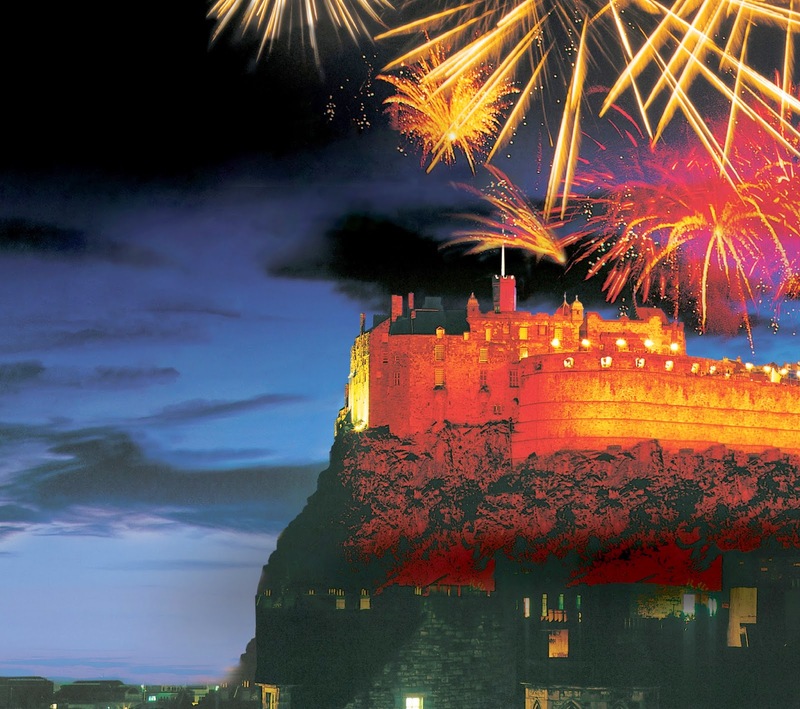 Around 80,000 revellers pay £20 to party their way into the New Year with top DJs, giant screens, outdoor bars and, of course, the world-famous Edinburgh Hogmanay Midnight Fireworks on the castle ramparts. Nearby is another ticketed event, the Concert in the Gardens, which this year is being headlined by Lily Allen, who will be joined by many other special live music guests. For a more traditional Scottish Hogmanay, get yourself to the Edinburgh Keilidh, which boasts a massive outdoor dancefloor, bar and food village. Newcomers to ceilidh can learn the moves from the professional ceilidh caller and bring in 2015 with spectacular views of the Midnight Fireworks. And if you need something to clear your head the morning after, why not take part in the (literally) breathtaking Loony Dook, the annual splash in the River Forth at South Queensferry. Don some fancy dress and join the Dookers Parade through the High Street before taking the plunge in the freezing Forth with the iconic Forth Bridges as a backdrop. 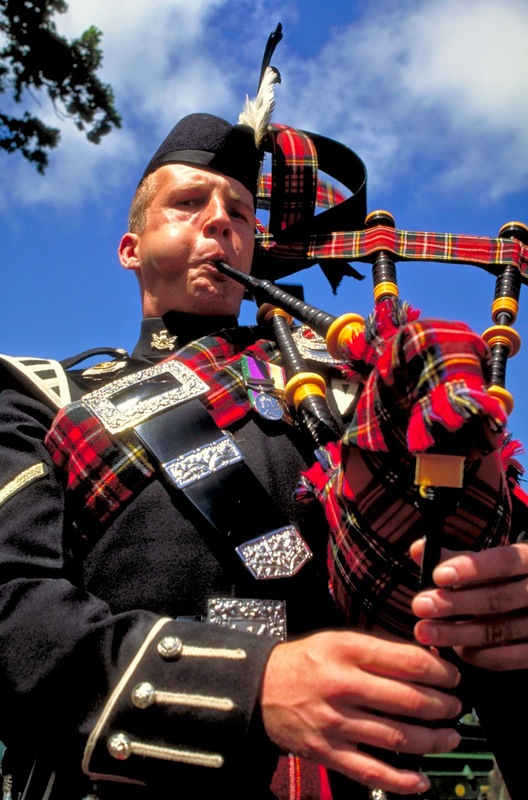 For some forward planning, make your trip to the Scottish capital next summer to coincide with the Edinburgh Festival – the largest arts festival in the world – which takes place every August for three weeks. Both the main festival and the Fringe are showcases for the performing arts, particularly theatre and comedy, helping to establish the careers of many writers and performers. Whether you’re a seasoned visitor or this is your first experience of the festival, there is always a fair bit of planning required to make the most of what’s on offer as there are thousands of shows in more than 250 venues. 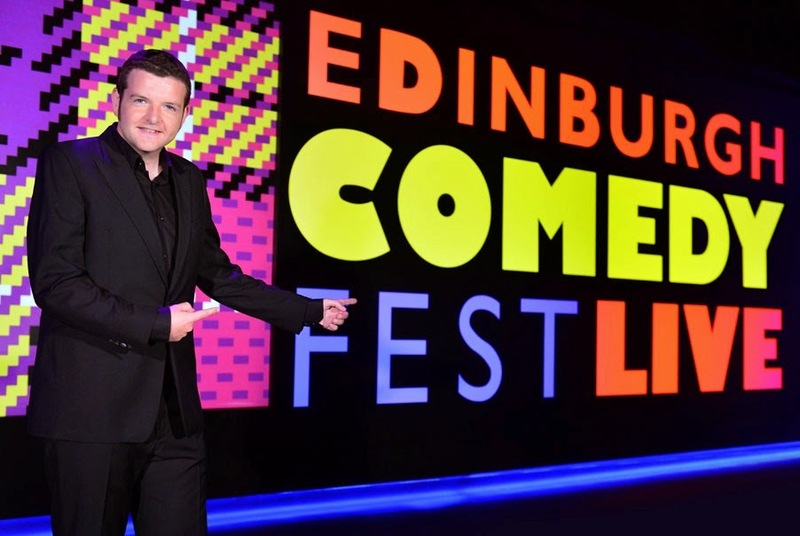 The Edinburgh International Festival and Fringe will next run from 07-31 August 2015. The city centre is the ideal place to start a shopping trip. Jenners is a quirky department store located on Princes Street, selling everything from international designer brands to locally crafted Scottish products. The Royal Mile is in the heart of the Old Town, which is full of pretty buildings, some dating back to medieval times. You’ll find great gifts shops, from fun souvenirs to top-quality cashmere and tartan, whisky and delicious handmade fudge. If you are after bargains, the Livingston Designer Outlet is worth the 30 minutes trek from Edinburgh, where you can pick up designer brands with massive discounts. What better way to see this fantastic city than from the top of a tour bus? City Sightseeing provides hop-on hop-off bus tours, with numerous stops located conveniently around the city at various landmarks and shopping destinations, so you can jump on and off the bus at your leisure. This one is sure to be a hit with the kids and will give you plenty of photo opportunities. Cameras at the ready! Prices are around £14 for adults and £6 for children. 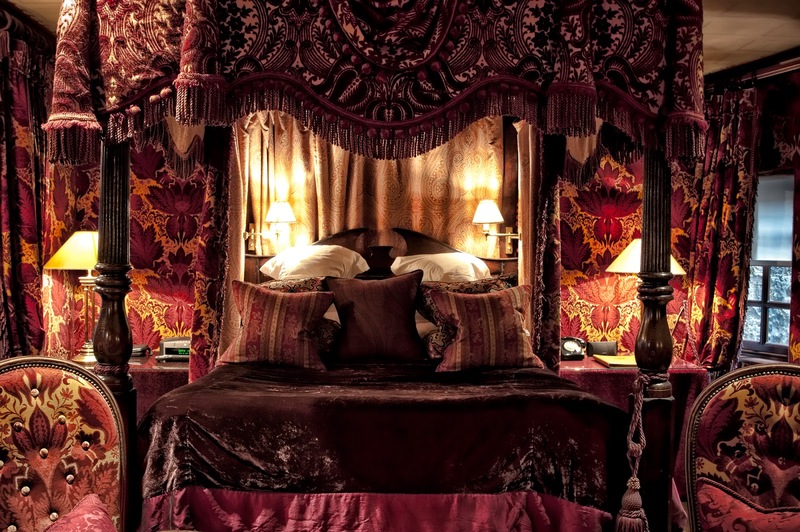 Edinburgh has its pick of welcoming B&Bs, 5-star hotels, self-catering flats, farmhouses, cottages and even castles to stay in, so you'll definitely find something to suit your budget and preference. The official Visit Scotland site runs a 'Taste Our Best' scheme, so you can not only find an accredited place to stay in, but also find those which serve great food cooked onsite and made from ingredients sourced locally. The largest museum of its kind in the world, the National Maritime Museum in Greenwich is currently hosting the Ships, Clocks and Stars exhibition, which celebrates the 300th anniversary of the Longitude Act. It documents one of the world’s greatest challenges – to understand and calculate longitude simply, which is crucial in maritime navigation. This exhibition explores the rivalries and inventions of the great scientists of the 17th and 18th centuries – Galileo, Isaac Newton and John Harrison – whose work still influences our lives through satellite navigation, mobile phones and international time zones. By being able to determine a ship’s position at sea, Britain was able to dominate the world’s oceans, beating Spain, France and Holland in the process. A major highlight is the display of John Harrison’s legendary clocks. His invention overcame the problems usually experienced with normal clocks, which failed to work on long voyages. You can enjoy these masterpieces, in perfect working order, and see how they evolved over time. The museum has other activities ideal for the family, such as the Nelson, Navy and Nation exhibition. Or try the Great Map, a virtual world travel and treasure hunt: use a tablet to navigate your ship and collect treasures and crew all over the world. The museum has a restaurant overlooking Greenwich Park. Or have a picnic outdoors. Admission to the museum is free, although there is a charge for the Ships, Clocks & Stars Exhibition, which runs until 4 January 2015. However, this also includes entry to the Royal Observatory. One of the world's most successful educational entrepreneurs will address a select meeting in the House of Lords on December 1st, at the invitation of Lord Sharkey. In an address titled ‘Higher Education in the Life of the TRNC’, Dr Suat Günsel, Founding Chancellor of Near East University, northern Cyprus, will tell prominent academics and politicians about the social and economic benefits generated by the country’s growing university sector, along with the challenges faced by NEU since its launch in 1988 and his plans for the future. Lord Sharkey, chair of the All-Party Parliamentary Friends of the TRNC Group, gained first-hand insights about NEU when he visited the campus in Lefkoşa last November to give a lecture. Like many, he was surprised by the scale and quality of the university, and how its students continue to compete with the leading higher education facilities in the world. 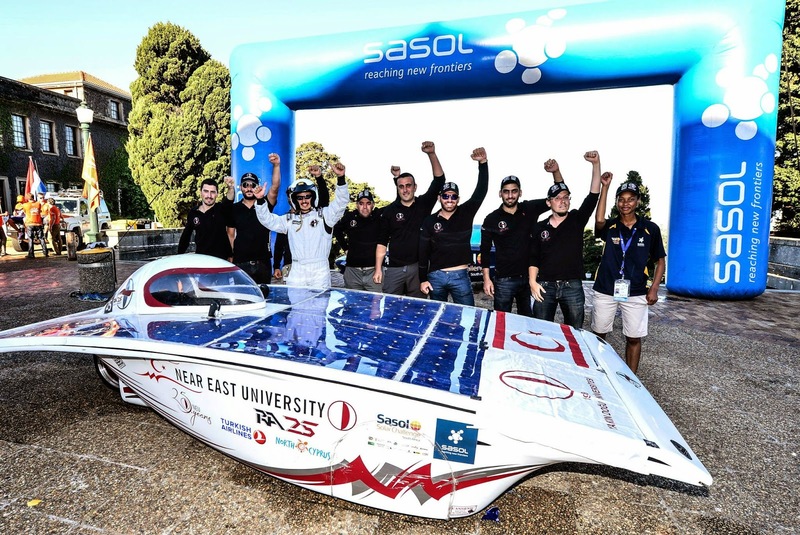 Earlier this year, NEU staff and student engineers designed and built a solar-powered car good enough to take part in South Africa's 2014 SASOL Solar Challenge (pictured right), winning the contest's Adventure section and coming 8th overall against an international field. The university’s Engineering Faculty has also produced a wheelchair capable of responding to the thought-waves of severely disabled patients, while its IT specialists are working with Harvard on developing the next generation of super-computers. During his visit to London, Dr Günsel is expected to extend the NEU's international academic links to the UK by signing protocols with British universities and higher education providers keen to collaborate with Cyprus’ largest university. NEU has 25,000 students – a 14% increase on 2013 student numbers – and with two thirds originating from 90 countries, the NEU community is one of the most diverse on the island. The university houses 16 Faculties and 105 academic departments, and also boasts superb facilities, many of which are unmatched anywhere else in the island – or in most of its larger and more prosperous neighbours. Students benefit from 24-hour access to a library consisting of 500,000 printed volumes and over 1.5 million electronic journals, 4 amphitheatres and a 350-seat theatre. NEU also has an Olympic-sized swimming pool; a 500-tonne vessel used for oceanographic surveys and marine archaeology; a state-of-the-art $150m hospital whose facilities serve 40 separate departments and attract leading surgeons from the region; a computer facility large enough contribute to CERN research programmes and, most recently, a brand-new Veterinary and Animal Welfare Centre costing $25 million. One of nine universities in North Cyprus, NEU was built by Dr Günsel from scratch, using profits from his property empire and other business interests. It offers affordable higher education, as well as a generous system of bursaries and scholarships to attract the brightest minds from the Eastern Mediterranean, the Middle East, Africa and Central and South Asia. It is a full member of the International Association of Universities, and the European University Association. 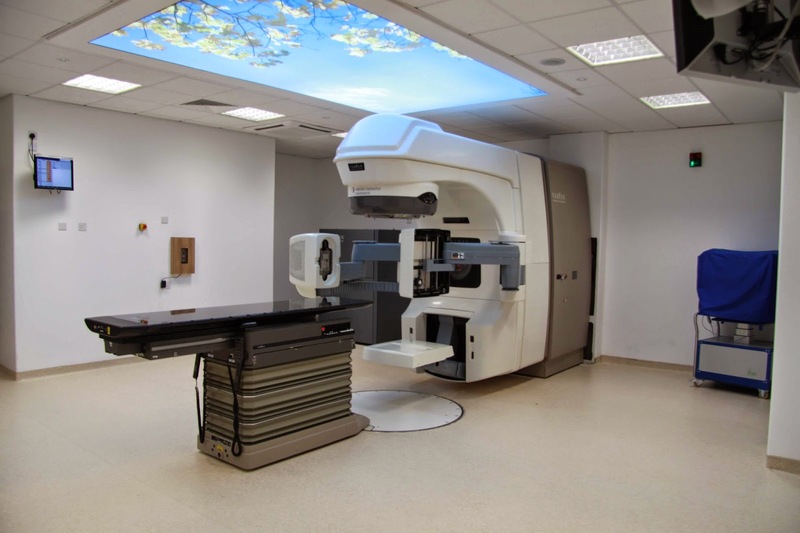 Collectively, NEU and its related services, including the hospital and Near East Bank, are North Cyprus’ largest private tax payer and employer. 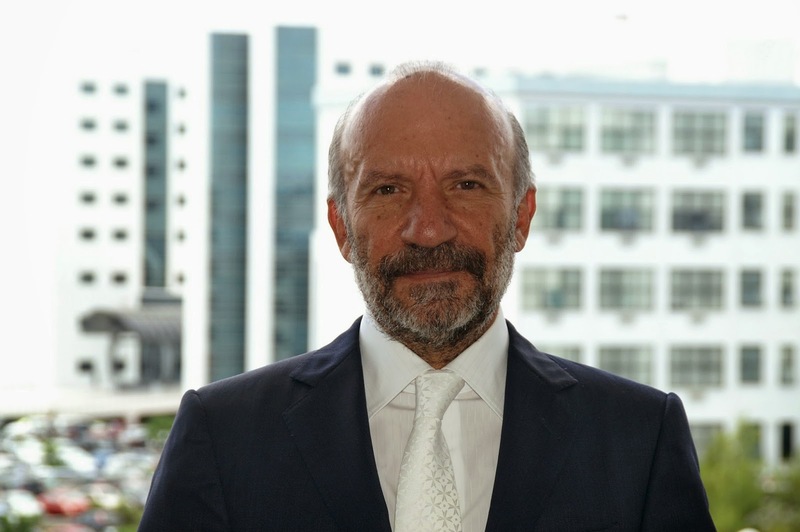 Dr. Suat Günsel is an educational entrepreneur, who was born in 1952 in Beşiktepe, near Paphos, in southern Cyprus to a family of humble means. His father was a shepherd who was keen for his children to be educated. Günsel graduated in Physics from the Middle East Technical University in Ankara before proceeding to a PhD in Educational Psychology. In 1978, he founded a private school to prepare students for university entrance, which has subsequently grown into one of North Cyprus’ top private secondary schools. Using his wealth from this and property, in 1988 he established Near East University. Today the university is Cyprus’ largest, created entirely through his vision and investment. His unique model of sustainability for the university has enabled Near East to become a recognised and respected brand, not just in education but also in banking, medical treatment, energy and more. With diverse revenue streams, Near East University has been able to keep student fees affordable and accessible to a broad range of students in the region. He has been given multiple awards for his services to education. He is married with three children. The debate is highly topical, given comments made by the former British Foreign Secretary Jack Straw to the Anadolu Press Agency in London on Tuesday that, “the international community should accept the reality that there is division and that you have partition. And then these two rather small nations would be able to develop their own relationship and I think it would be a cleaner system". 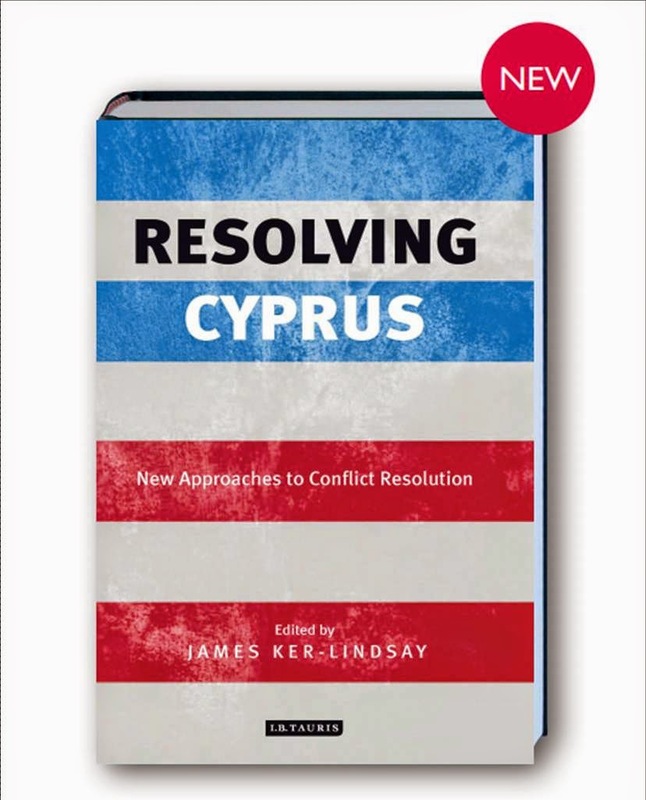 Dr. James Ker-Lindsay, a highly respected expert on the Cyprus Problem and a Senior Research Fellow at the London School of Economics, is hosting a roundtable discussion themed around his new book Resolving Cyprus with some of the writers who contributed to it. They include Emel Akcalı, Robert Holland, Klearchos Kyriakides, Neophytos Loizides, Robert McDonald, Zenon Stavrinides, Birte Vogel and Ergün Olgun. The event is free to attend and there are no advance tickets; entry is on a first-come-first-served basis. and enter the discount code CYPRUS14 when prompted. Two global football stars feature in the latest advertisement by Turkish Airlines. Chelsea striker Didier Drogba and Barcelona forward Lionel Messi are shown battling it out to reach far flung corners of the globe first as part of a campaign called Widen Your World. The light-hearted one minute broadcast has chalked up over 34 million views since its release last week. Kicking off in Istanbul, Drogba is seen increasingly frustrated as he travels from one exotic location to the next to sample different cultures and cuisines only to find the Argentinean star’s beaten him to it, with Messi’s photo already adorning the walls of the restaurants. Under the strapline, “We fly to more flavours than any other airline”, the footballers travel to Nepal, Japan, Siberia, and the Saharan desert. 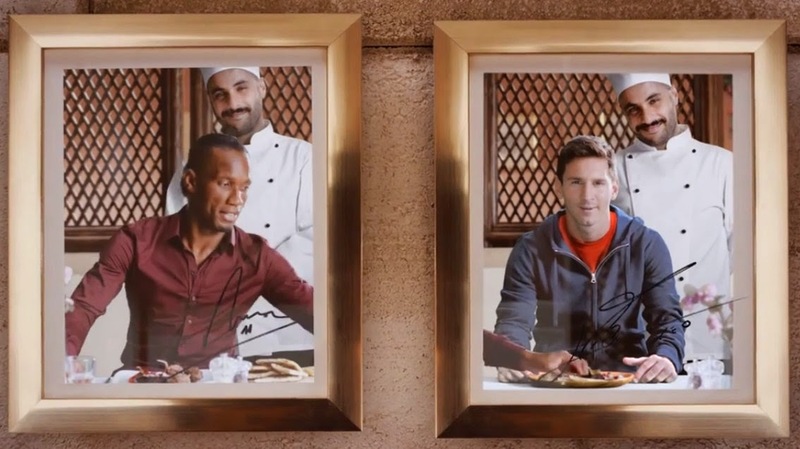 See the Drogba vs Messi clip here and visit the #epicfood website to win a globe-trotting prize to all five destinations – enter by 18 December for a chance to win. 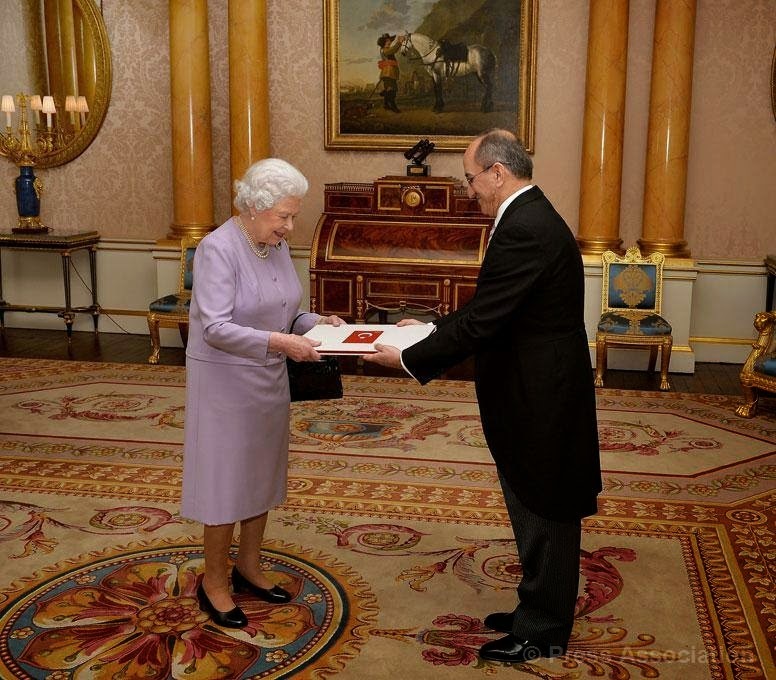 Abdurrahman Bilgiç, the Turkish ambassador to London, presented his credentials to the British monarch at Buckingham Palace last week. The ceremony took place on 12 November, and was attended by the Ambassador’s wife and younger daughter, along with other officials from the Turkish embassy. 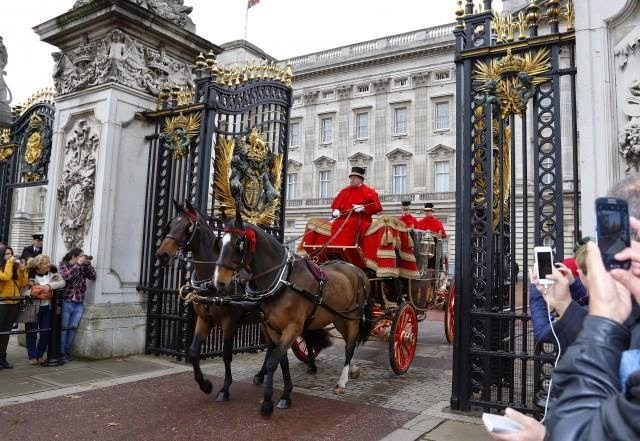 In keeping with tradition, the Ambassador and his wife, Esra Bilgiç were collected from their London residence by a State landau from the Royal Mews and were then escorted to the Palace by the Marshal of the Diplomatic Corps. Once there, Ambassador Bilgiç had a 20-minute audience with Queen Elizabeth II during which time he presented her his Letters of Credence. Following the audience, the Ambassador and his wife returned to their residence again in the Queen’s horse-drawn carriage. They then threw a reception for representatives of other foreign missions in London, where Alistair Harrison from the British Foreign Office gave a short speech. Ambassador Bilgiç was born in 1963 in Adıyaman, in southeast Turkey. He studied International Relations at Ankara University before entering the Foreign Service in 1986 – a year after graduating. He has served in the Turkish embassies in Tripoli and Canberra, and in the Turkish Consulate in Deventer. He was Director-General for Press and Information of the Prime Ministry between 2003 and 2005. He became the Consul-General in Munich between 2005 and 2007. He was promoted to the rank of Ambassador in 2011, serving in Tokyo for a short time. On 1 July 2014 he became the Ambassador of the Republic of Turkey to the United Kingdom of Great Britain and Northern Ireland. Ambassador Bilgiç is married with two children. Borderless! and Brink were among the winning films announced at the Closing Gala of the very first Golden Island InternationalFilm Festival (GIIFF), which took place last Thursday. The filmmakers were presented their prizes of €2,000 each by Creditwest Bank, the Festival’s main sponsor, at Le Chateau Lambousa in Girne. The Festival closed with the screening of the winning films along with a film created by young British and Cypriot filmmakers who worked together as part of the Erasmus Plus project during the Festival. Following selection by jury, the directors of the Best Documentary (Borderless!, directed by Ahmet Albakri), and Best Short Film (Brink, directed by Fardad Mottarjemi Khodadad and Kürşat Sekmen), along with the two Best Newcomers (Arınç Arısoy for Evolution and Sholeh Zahraei and Kamil Saldun for The Olive Tree at The Border) were each presented their prize by Creditwest Bank’s CEO Dr. Süleyman Erol and Executive Vice-President Mazher Zaheer. 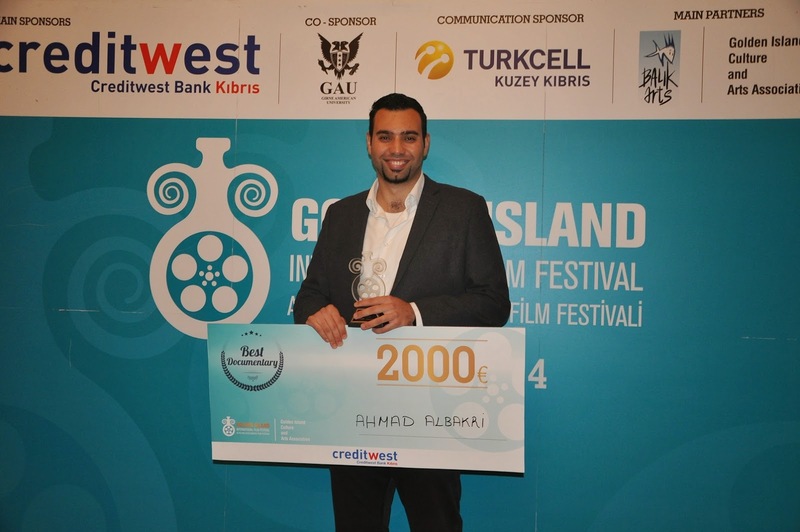 The awards followed a competition for shorts and documentaries in the Cyprus strand of GIIFF 2014, reflecting the Festival’s commitment to supporting local filmmakers. 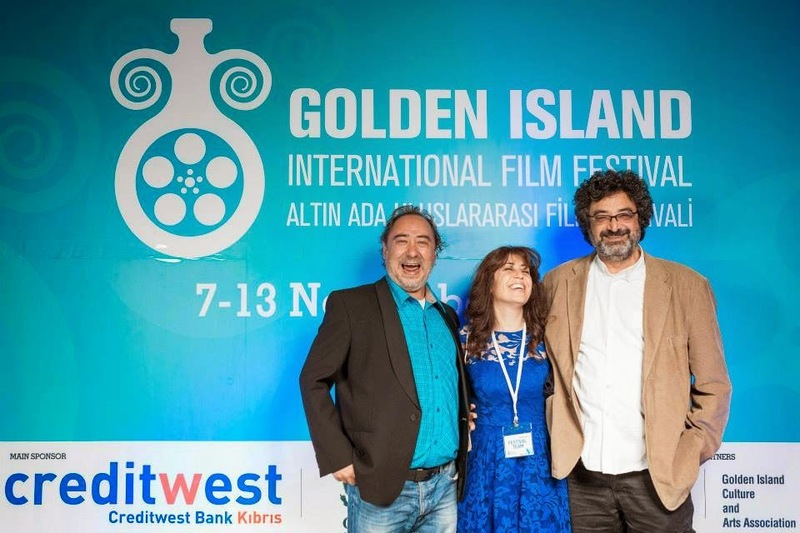 Over 65 features, documentaries and shorts were screened in eight venues across North Cyprus and the UN Buffer Zone, along with director-led Q & A’s throughout the week-long inaugural Golden Island International Film Festival, which closed on 13 November. Among the films selected for this year’s GIIFF programme were several that have been put forward for the 2015 Oscar Academy Awards, including Nihat Seven’s Uzun Yol (Long Road), nominated by BAFTA, with documentary Plot for Peace another contender for next year’s Oscars. The Closing Gala also screened the collaborative works of young Cypriot and Film Beyond Borders/ Erasmus Plus project participants, where they shot, edited and presented a 20-minute film they had made in Cyprus. The initiative was funded by Erasmus Plus, which enabled 25 people from Britain to travel to North Cyprus to take part in the project and to gain valuable work experience as volunteers at GIIFF. GIIFF is backed by a number of partners including the Independent Film Trust, Raindance Film Festival, Detmold International Short Film Festival, Datça International Short Film Festival, the University of East Anglia (Film Dept), the Home for Co-operation (Cyprus), Movies that Matter, the Turkish Cypriot Community Association (UK), and Youth Power (Cyprus). Along Creditwest Bank, the festival was sponsored by Girne American University and North Cyprus Turkcell, with additional support from the likes of Kibris Media Group, BRT and Pegasus Airlines. After a glittering debut at last year’s T-VINE Christmas Party, hosts Eray & Koray are back to oversee more festive fun and a superb line-up of live music, comedy, and dancing. Cyprus Garden – Turkish London’s most popular nightspot – will again host our annual cabaret-style dinner and dance, which takes place on Sunday 21 December. Performers this year include Turkish Pop princess Peri Aziz. Formerly of chart-topping group Babutsa, Peri will be singing covers of Turkey’s biggest hits that are guaranteed to get diners on their feet. Keeping them on the dance floor will be Ali Köse, whose sensational singing powered him to the quarter-finals of O Ses Türkiye (The Voice). He promises a night of uplifting British and American Soul and Pop, blending familiar tracks such as Pharell’s Happy with his own songs. In life, when you get to a certain age, there aren't many surprises left so why not take a chance? Destiny awaits you! 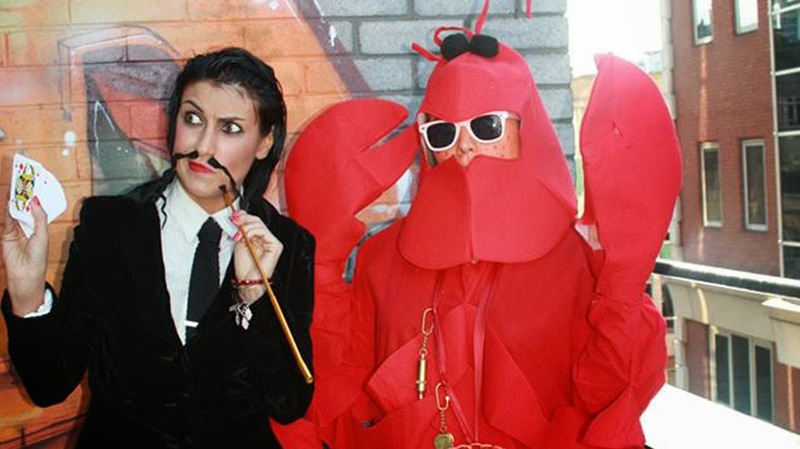 Following their epic Edinburgh Fringe Festival debut, Hakbrayne – the world’s first Paul Daniels and Debbie McGee tribute act – are inviting T-VINE guests into their motor home of mystery for a totally psychedelic, bonkers, immersive comedy theatrical experience. And that’s not all! A T-VINE Christmas wouldn’t be complete without some bellydancing; the delightful Melisa Yavaş returns with her hip-thrusting, sword-twirling show. Our thigh-stomping finale is courtesy of DJ Elliot Patterson whose party classics will keep you dancing late into the night. Doors open at 7pm and the show starts at 7.30, and anyone aged 16 or over is welcome. There is a set menu comprising of 12 hot and cold meze dishes, a roast Christmas Turkey dinner with all the trimmings (vegetarian option also available - please advise at time of booking), and mince pie with custard. Tickets are priced £35 for both the variety show and dinner – drinks are not included. If you’re quick, pick up an Early Bird Ticket at just £29 (offer lasts until 7 December or until allocated quota sells out). There are also discounts for group bookings of 10 and over - get in touch with us for this. Or from Cyprus Garden – call 07738 410 870 to book your place. 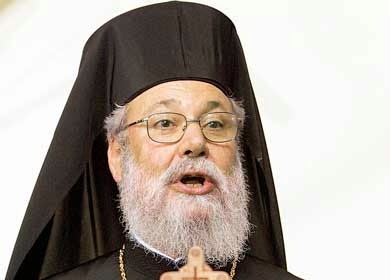 As Greek Cypriots boycott the UN Talks in protest at "provocative" Turkish naval action, the United Nations Development Programme (UNDP) begins to rescue Apostolas Andreas, a decaying Greek Orthodox monastery on the TRNC's Karpaz panhandle, which is venerated by both communities. The €6.23 million refurbishment will be overseen by the bi-communal Technical Committee on Joint Heritage, also set up by the UN. Significantly, it will be jointly financed by Evkaf, the Muslim charitable trust in the north, and the Greek Orthodox Church in the south. According to REUTERS, "On a remote outcrop in divided Cyprus, Greeks and Turks have put aside decades of enmity to restore their shared cultural heritage, battered by war and neglect." "Over the next 16 months, Greek and Turkish Cypriots will be working to restore the Apostolas Andreas monastery, said to be built on the very spot where the saint's boat ran aground during a missionary journey to Rome." 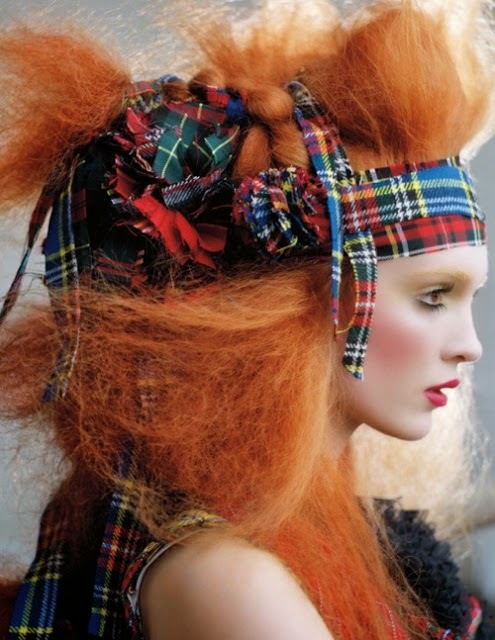 A spring now flows there, and St Andrew became the patron saint of Scotland, whose flag bears his cross. Amazingly, Cypriots from both main communities have been making their pilgrimage to Apostolas Andreas for centuries. The Greek Orthodox faithful bring "tamata" to the shrine – wax statues offered up to reinforce prayers for the sick. But the shrine is also venerated by Turkish Cypriot Muslims. Says Ali Tuncay, joint head of the UN Technical Committee on Cultural Heritage: "Apostolas Andreas is very important to us. Many Turkish Cypriots come here to make a wish." Greek Orthodox pilgrims from the south have had access to Christian shrines in the north since the opening of the borders by former TRNC President Rauf Denktaş in April 2003. Tensions have arisen at major festival times – Christmas and Easter – when Greek Cypriot organisers failed to give basic tour details requested in advance by the TRNC Border Control. The size and scope of the Apostolas Andreas project – very much the largest cultural initiative undertaken jointly by Greek and Turkish Cypriots so far – make it a trailblazer. Initially the two communities carried out joint visits throughout the island resulting in a list of over 2,300 cultural heritage sites, from which they chose 26 located in the north and 14 in the south that most required attention. “At the beginning we only selected religious heritage sites,” said Ali Tuncay. “This project is a testament to what Turkish Cypriots and Greek Cypriots can accomplish when working together. Apostolas Andreas isn’t just culturally important for Greek Cypriots. It’s equally important for Turkish Cypriots and the rest of the world,” he added. “Through culture we can lay a sturdy foundation for the island’s future and show everyone what Greek Cypriots and Turkish Cypriots can accomplish,” he said. The Committee is now carrying out work on secular sites, such as Famagusta’s perimeter walls, including the famous Othello Tower. He also stressed that restoration is bringing to light forgotten works and structures, such as a fresco discovered in a church of the Büyükkonuk/Kom Kebir village, and a water cistern in the Othello Tower. The UK is among the countries financing the UNDP work in Cyprus. The Apostolas Andreas restoration is being overseen by architect and restoration expert Diomidis Miriantheas of Patra University. The UN has awarded the tender for restoring the monastery to Greek Cypriot company Fixico Constructions and Turkish Cypriot Yakup’s Company, Tel-Za Construction Ltd.
A young Turkish Cypriot actress shines in a new comedy for the BBC. Nalân Burgess plays Yaz Yıldız, the cool younger sister of Bolts, one of four Rude Boys. Described as “an East End version of The InBetweeners”, the comedy pilot for BBC3 homes in on the embarrassing antics of four friends from multi-ethnic backgrounds as they try to fit into the social circles around them that include both ‘bad boys’ and ‘hipsters’. "Your dad worked in a kebab shop." Rude Boys received a good reception when it was first released in July, entering the Top 20 Most Popular shows on the BBC iPlayer in its first week. You can watch the 18-minute pilot online as part of the BBC’s Comedy Feeds section until June 2015. The more views and public support, the greater the chance the show could be commissioned by the BBC for a full series. Nalân comes from a creative background. She was born and raised in North London by a Turkish Cypriot mother – also an actress who recently appeared BBC’s Casualty and a soon-to-be-released film by Idris Elba – and a music teacher father who is English. Nalân studied English, Drama & Education Studies at Cambridge University, and has been acting professionally since she graduated in 2010. Now aged 25, she has built up her experience in theatre, both musicals and plays, as well as appearing in various short films and music videos. In the past year, she has appeared in two British feature films: He Who Dares and Essex Boys Retribution. Watch this space! We’re sure Nalân will continue on her path to acting stardom. 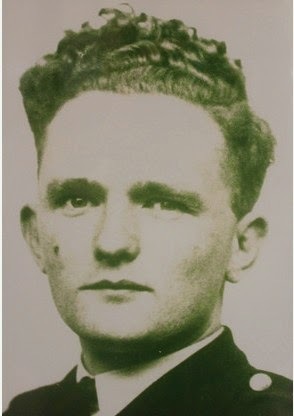 On 31 August, during the hot summer of 1956, two British policemen were standing guard on a well-known EOKA terrorist, Polykarpos Yorgadjis, in Nicosia General Hospital. Suddenly armed men rushed down the corridor. The officers drew their pistols. Shots rang out. ‘The Battle of Nicosia Hospital’ had begun. Four of Yorgadjis’s EOKA gang members were trying a desperate rescue attempt. In the ensuing gun fight Serjeant Eden shot and killed one gunman and then beat another to death with his gun. He received a George Medal. His colleague, Police Sgt Leonard Demmon was not so lucky. He was shot dead. Only a month later three British police officers were walking down Ledra Street – Nicosia’s notorious ‘Murder Mile’ – when they were shot from in the back by an EOKA murder squad led by Nicos Sampson. Sgt Hugh Carter from Herefordshire, and Sgt Cyril Thorogood (pictured) from Leicester and Rutland were killed. Despite being hit five times, Worcestershire Police Sgt Webb survived the attack. 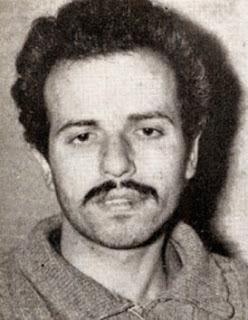 All three officers had volunteered to join the United Kingdom Police Unit Cyprus, which was set up to supplement the existing Cyprus police during the Cyprus Emergency, when EOKA’s Greek Cypriot terrorists fought to drive the British colonial regime from the island by murdering British soldiers. Policemen were EOKA’s targets too. As a result a call went out for extra policemen. Many Turkish Cypriots joined the Cyprus police, as did 986 British policemen and women who volunteered to help the local police in keeping the peace. In all, sixty two policemen were murdered by EOKA: 18 British; 25 Turkish Cypriots; and 17 Greek Cypriots, as well as a Maronite and a Maltese officer. 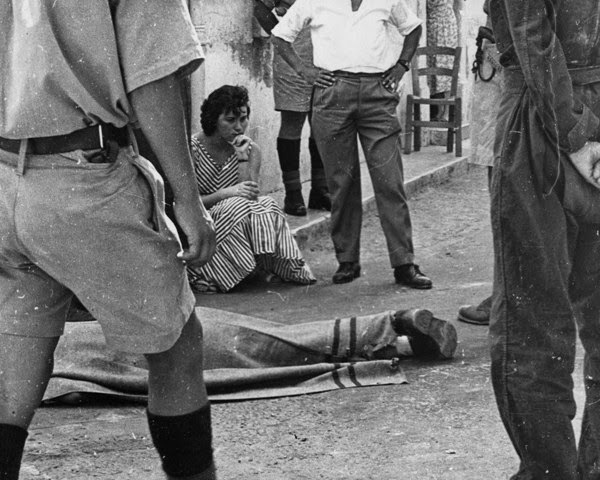 They and the many civilians (including women and a doctor, shot in the back by EOKA’s ‘heroic Freedom Fighters’) have long been the forgotten victims of the deadly guerrilla war in Cyprus from 1955 to 1960. On Saturday 8 November 2014, that historic wrong was righted. A memorial to all the British, Turkish and Greek police officers who lost their lives in one of Britain’s ‘small wars’, was unveiled in Kyrenia’s Old British cemetery by Sir Hugh Orde, President of the Association of Chief Police Officers, representing the 44 police forces of England, Wales and Northern Ireland. The memorial was funded by the Police Roll of Honour Trust, a British Charity, as well as voluntary donations from UK police forces and individuals. Its unveiling was attended not just by members of the public in Cyprus but by widows and relatives of those police officers, to lay wreaths to those who lost their lives long ago. Naturally the Police Roll of Honour Trust and Kyrenia’s Royal British Legion Branch invited both the Greek and the Turkish communities to mourn their dead. The Turkish Cypriot Police were represented by the TRNC’s Chief of Police in memory of his Turkish Cypriot colleagues who paid the ultimate price for their loyalty and duty. Sadly the bitter politics of the divided island intervened once again. Despite invitations to the Greek Cypriot administration, its police force and the Orthodox Church, as well as the families of the dead Greek policemen to come to the multi-faith ceremony, no-one from the Greek side attended. The sad truth is that the so called heroes of EOKA and their propaganda version of the historical facts prevailed once again. The Greek Cypriot policemen were particularly vulnerable. They had to live cheek by jowl with known murderers, drink in the local coffee shop, collect their children from school. If they did not get the message, their families were threatened. Many Greek Cypriot policemen turned a blind eye to the murderous men of violence. Those loyal policemen who refused to cooperate with the terrorists were killed, wounded or ostracised as traitors and collaborators by EOKA. Today Greek Cypriot apologists still excuse the murders of their own countrymen by comparing them with collaborators like the French Vichy police. But for Greeks to compare Britain’s benign colonial rule on Cyprus with the Nazi occupation of France is just another big fat Greek lie. However, the Greek Cypriots were not the only major absentees from the unveiling of the Memorial to the dead of the British Cyprus Police. Astonishingly there was no official representation of Her Majesty’s Government. Confirming Maggie Thatcher’s judgement of Whitehall as ‘that hotbed of cold feet’, a nervous Foreign and Commonwealth Office decreed that no serving member of the police, diplomatic or armed services could attend the unveiling in uniform to represent The Queen and honour the policemen who died for Britain, because the memorial was in The Republic of Northern Cyprus. The British High Commission kowtowed to Nicosia as usual. Because of its ghastly experience when the High Commissioner actually dared to turn up in 2009 to lay a wreath on behalf of the Queen at the unveiling of the memorial to the 371 dead British servicemen, the British High Commission once again ran scared of the Greeks. For the rest of his tour the unfortunate High Commissioner Peter Millett was treated like a leper by the Greek Cypriot administration: how dare a British Ambassador go to the Turkish non-state (the “occupied territories”) in the North and commemorate dead British soldiers? Who did he think he was? But it is too easy just to blame the high-priced help at the BHC for the weak-kneed pusillanimity that passes for British diplomacy on Cyprus. Cosy in their very well-funded staff jobs in Nicosia ,the BHC just want a quiet life. The real villains lurk in Whitehall, where the Foreign and Commonwealth Office is more worried about offending Greeks than recognising the dead who gave their all for Britain. Desperate to placate Athens to ensure Whitehall gets Greek support in the next horse-trading vote in Brussels, the FCO adopted its usual spineless pre-emptive cringe to matters Cypriot. Her Majesty’s Government’s cowardly absence from the ceremony to honour the murdered policemen is an insult to the dead: British, Greek and Turk, all of whom died for Britain. Last Saturday, the FCO’s cowardice and hypocrisy made decent folk ashamed to be British. This article has been updated from the original, which appeared in Cyprus Today. 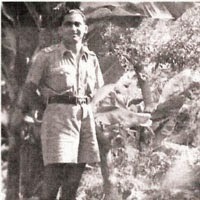 Colonel John Hughes-Wilson (pictured) served in the British army's Intelligence Corps and the Special Services, seeing action in Cyprus (where he was head of Military Intelligence after the Occupation of 1974) ,in the Falklands, Arabia and Northern Ireland- as well as what he describes as "the dangerous jungles of NATO and Whitehall," which gives this article added authority. 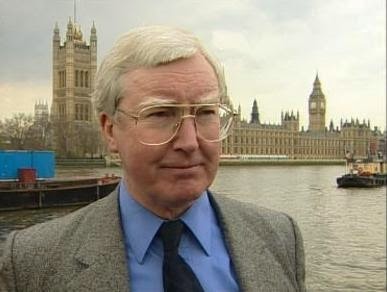 He is an internationally-acknowledged author and battlefield expert, a frequent broadcaster for BBC TV, especially at the annual Cenotaph Remembrance service ,with David Dimbleby , and a member of the editorial board of RUSI, the Royal United Services Institute, He lives in the TRNC.